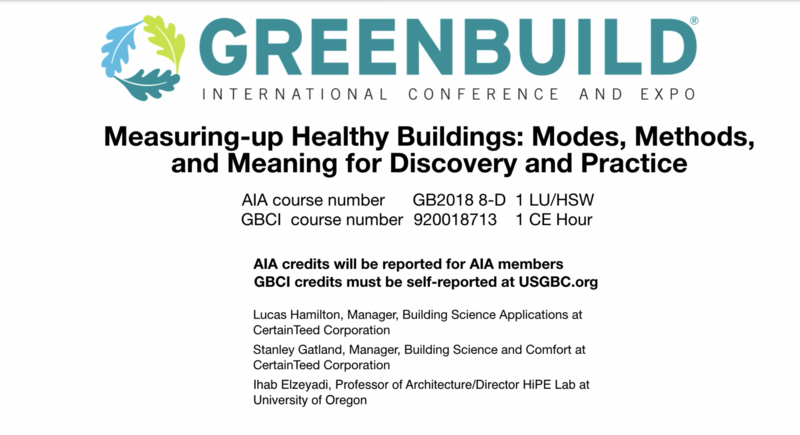 This is the video recording of a course presented at Greenbuild 2018. Sustainable buildings have typically been measured in two ways: by their reduction in resource consumption and their achievement of green building certifications. 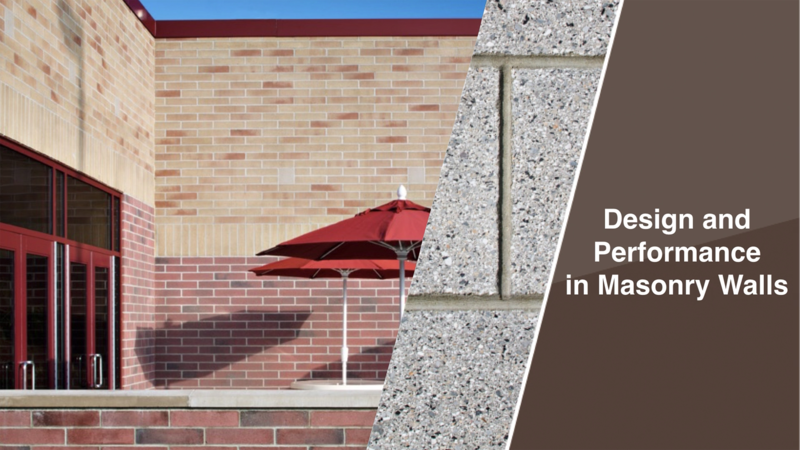 However, neither of these criteria measure the most important aspect of the building – its impact on occupants’ comfort, health, well-being, and productivity. In order to accurately record and generalize this information, longitudinal, pre-and post-occupancy evaluation studies are crucial. This session will explore the methodology behind the 36-month occupant’s multi-comfort study conducted at the Saint-Gobain & CertainTeed North American Headquarters in Malvern, Pa., in partnership with the University of Oregon’s High Performance Environments Lab (HiPE). The presentation will delve into the methods and protocols that guided this research study as well as the findings related to thermal, visual, acoustical comfort, and indoor air quality as well as occupant productivity, satisfaction, health and well-being. It will also explore how Saint-Gobain was able to utilize the headquarters as a living laboratory to measure the impact of its sustainable building materials and systems on occupant’s satisfaction. 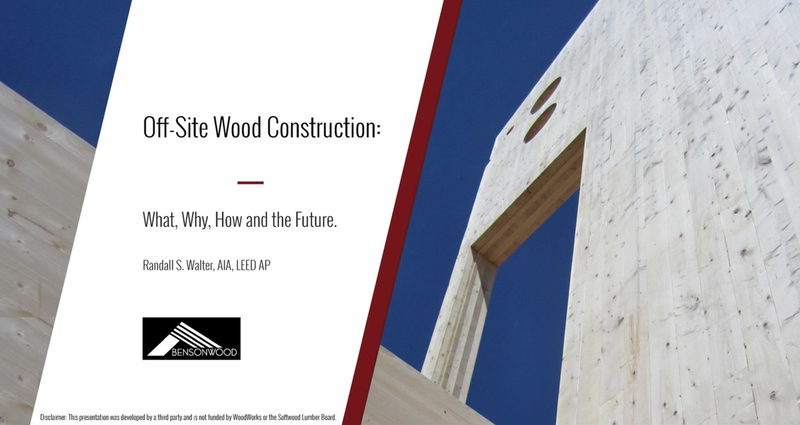 This case study presentation offers a rare opportunity to learn about mass timber from a company that built one of the largest cross-laminated timber (CLT) projects in the US – a five-story, 156,000-square-foot office building in Hillsboro, Oregon. Swinerton Builders, which undertook all aspects of construction in-house, shares information on procurement and erection not easily found through other sources. 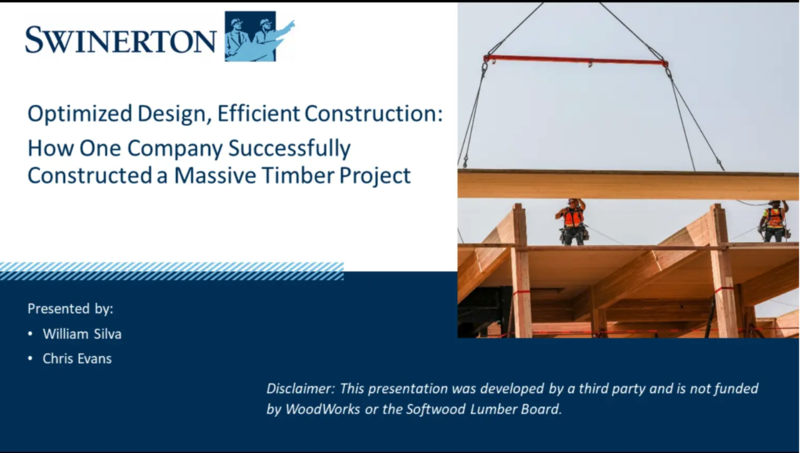 Insights will cover preconstruction activities, including design optimization, proper use of BIM to manage the many prefabricated elements inherent in a large mass timber project, and phasing techniques. Site logistics, quality management, field production, and erection details are also discussed. 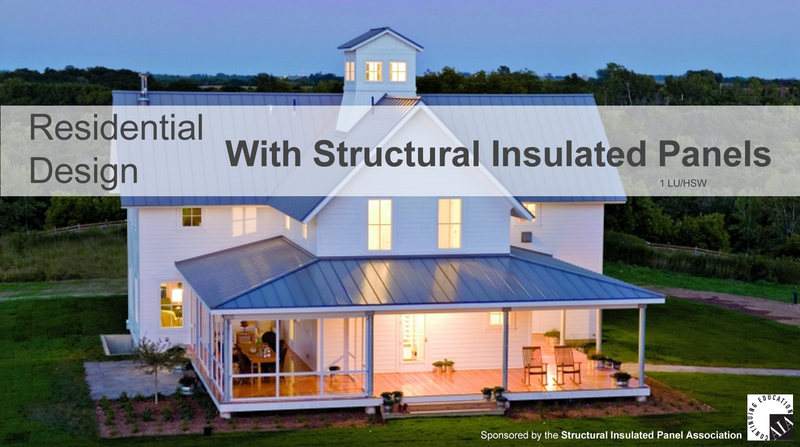 This course will explain the benefits of designing with structural insulated panels (SIPs) for residential applications. The designer will gain a better understanding of application, assembly and detailing in order to properly utilize SIPs for optimum energy efficiency and durability. 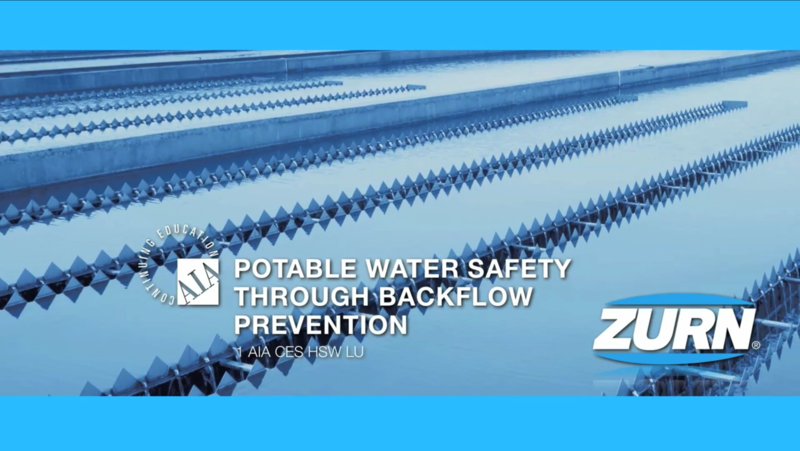 Through case studies and design strategies, the designer will walk away from this course with a better understanding of designing for current industry standards with SIPs.